2. The U.S. nationally enjoys a whopping 48 pints of ice cream per person every year on average, making Americans the No. 1 ice cream consumers worldwide. 3. Coming in No. 2? New Zealand. I’m pretty sure, though, that at our house we consume more than 48 pints of the stuff during the year. How about you and yours? But ice cream isn’t what I want to talk about. It’s easy to get stuck in a treat-type rut, don’t you think? While we love our ice cream, there’s gotta be other choices waiting to be explored, so that’s what I want to talk about: another treat-type choice—GELATO. It’s still ice cream, but it’s Italian style ice cream. And what’s the difference? ü While ice cream is typically served frozen, gelato is typically stored and served at a slightly warmer temperature, around 15˚F, so it's not quite completely frozen. ü There's not as much fat in gelato, so it doesn't coat the mouth in the same way. It’s a denser dessert and the flavors are more intense. And fewer fat grams makes it a healthier dessert choice than ice cream. ü Gelato can’t be made in a traditional ice cream maker; it takes an actual gelato machine that has a built-in compressor that chills the mixture without using a pre-frozen bowl. 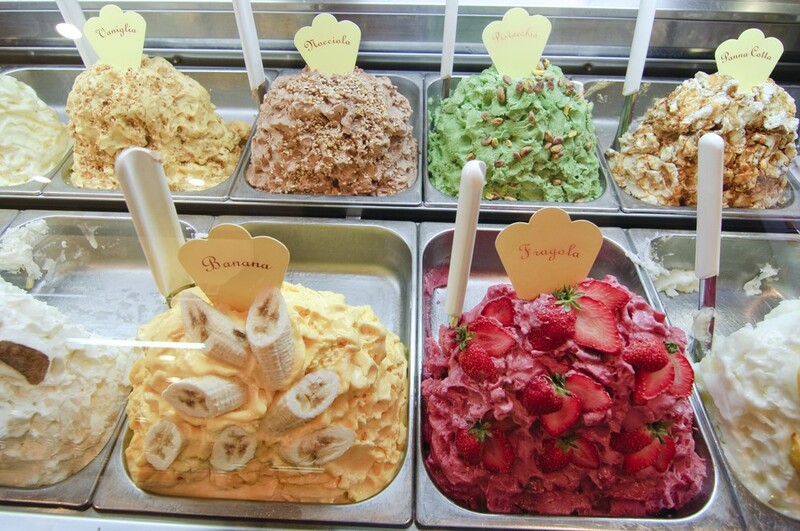 Finally, AFFORDABLE and EASY to find gelato? 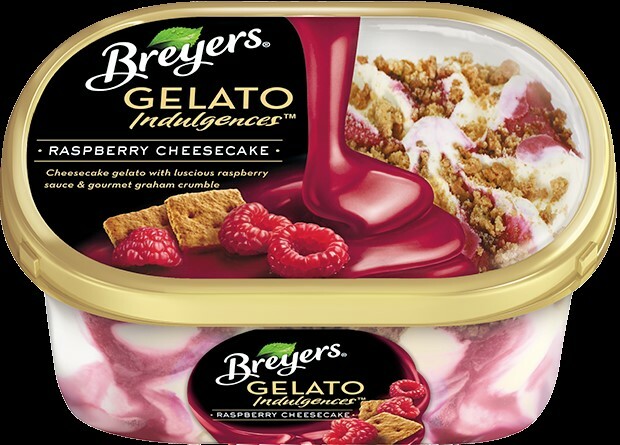 Breyers Gelato Indulgences (also in Vanilla Caramel, Tiramisu, Triple Chocolate, Cappuccino, Strawberry Truffle, Mint Chocolate and Chocolate Caramel). You’ll find Breyers in most grocery stores nationwide. (At $4.49 for 28.5 ounces, it’s a good buy as well.) This brand received 9 out of 10 stars, so let’s give it a try. 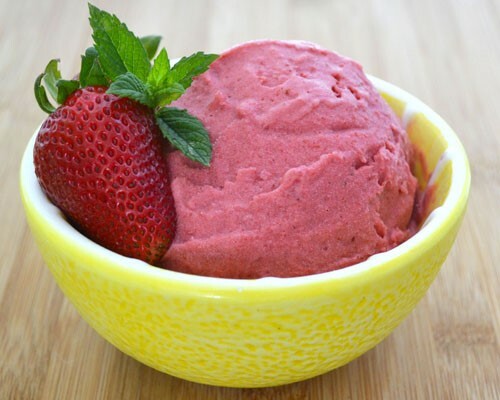 And I’ll conclude with a recipe for a non-dairy gelato that you can make in a blender. Up front I’ll say it probably won’t taste like that from a gelato shop, but friends say it’s a close second. This plant-based recipe is a healthy summer dessert or special treat that’s made with no sugar and only three ingredients. It takes about 5 minutes to make and only contains 13 grams of fat. 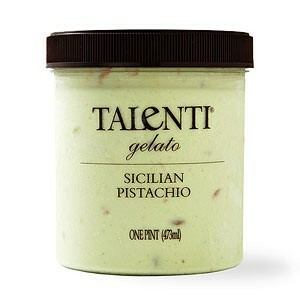 Hey, we might want to declare a National Gelato Day! Add all of the ingredients to a blender. Process until it has a smoothie-like consistency. Pour the mix into a quart-size container and put in the freezer. After 4-8 hours the mix should be frozen. Now it’s ready to be taken out of the freezer. 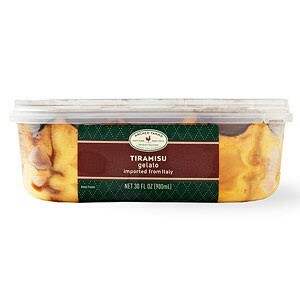 Your first option is to let it thaw for 15 minutes and then enjoy a firmer gelato. 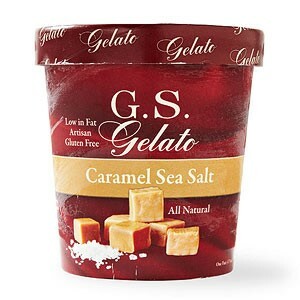 For a softer gelato, let it thaw just enough until it can be loosened from its container. Then transfer it to a high-powered blender. It will be rock solid, so use the tamper to push it down into the blade as you blend it. It should only blend for 30 seconds or so – you don’t want to melt it. Enjoy promptly.